The company Segura sp. z o.o. was registered in 1988 and carried out its business activity under the name of INSGRAF. In 2012 an organized part of enterprise was sold and the company changed its name to Segura. Currently, Segura’s range of activity includes manufacturing and trade. The company has always specialised in import and intra-Community supplies of active substances and intermediates for the Polish pharmaceutical industry. It also delivered raw materials and plant extracts for its own production, for producers of dietary supplements and for further resale. The company specialises in cryogenic grinding of plant raw materials that are exceptionally rich in fat, such as dried coconut pulp (copra), cocoa and green coffee beans as well as in cryogenic grinding of plant raw materials particularly rich in water-insoluble fibre. We also provide grinding services for other companies. We offer unique technologies of cryogenic grinding, cold air drying (with comparable achievements to freeze-drying) and microwave-vacuum drying. We have a wide range of bulk products that we cryogenically grind for our production purposes as well as for further resale. These are especially cocoa beans, diverse varieties of raw and roasted coffee beans, fat-rich seeds and plants of a very high ORAC number. 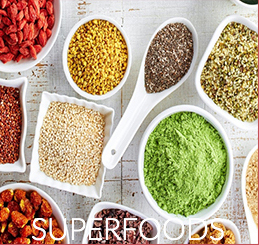 We produce superfoods and dietary supplements for individual end users as well as for institutional customers. In our offer you will find both organic certified and non-organic products. Our unique products under Islaverde® brand are ketogenic and thermo-ketogenic diets, which are composed only from natural organic ingredients. The production division of the company is located in a newly built production facility nearby Warsaw. The factory is provided with modern equipment, such as a cryogenic mill and a cost-efficient installation for liquid nitrogen supply. 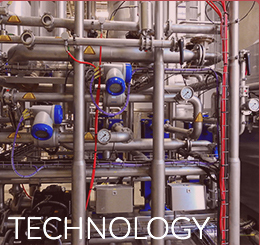 There is also a pilot installation for low-temperature drying and a microwave-vacuum dryer and steriliser. The company’s products are stored and distributed from air-conditioned warehouse for finished products and may also be packaged in small, medium or big bags. The company specialises in grinding plant raw materials that are exceptionally rich in fat (coconut), water-insoluble fibre (cocoa shells), small and hard seeds (rose hips, elderberry, chokeberry), as well as very hard, adhesive or fibrous plant and non-plant raw materials (green coffee beans, gelatine, collagen) and other food ingredients, especially for preserving their taste and aroma. Due to the applying of cryo-technology in grinding (at temperatures reaching -100°C), the plant materials are ultra-fine milled, which increases the antioxidant capacity and bioavailability of all valuable bioactive plant substances and micronutrients. All company products are organic certified (by the company AGRO BIO TEST Sp. z o.o.). The sensory, physicochemical, microbiological tests and the tests verifying the content of contaminants (with particular focus on heavy metals content) are carried out by the specialised laboratory of the company SGS Polska sp. z o.o. In our facility we also offer microwave-vacuum drying and cold-air drying services. Both services are equally efficient as freeze-drying and – as a water removal process – both are typically used to preserve perishable materials, to extend shelf life or make the material more convenient for transport. 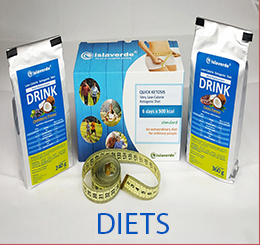 We also sell weight-loss products, especially ketogenic and thermo-ketogenic diets and other food supplements that are produced under the Islaverde® brand. 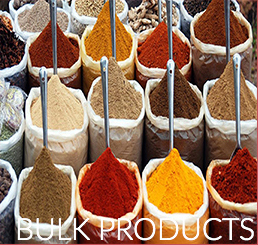 In the manufacturing process we use a two-axial pharmaceutical mixer and small-bags-packaging line for different powder blends. Beside powders, we produce high-calorie ginger beverages – the so-called “Healthy Sips” – using a low-speed squeezer. We seek partners to start cold-air drying on an industrial scale. This process is of the same quality as freeze-drying, but investment and production costs are three times lower. We offer a wide range of products, ranging from cryogenically ground cocoa beans, pulps and various seeds to more complex diet components. If you are interested in any branch of our business, please feel free to contact us! We will be more than happy to answer your questions. As our office and facilities are located nearby Warsaw, we can ship our products easily to any place in the world.